"Brow game strong!" "Brows on fleek!" If you've ever found yourself wishing people would say this about your brows, you might be wondering how to get your brows more "on point" without having to pile on brow products. The answer might be easier than you think - natural oils. But which oils? What's the best combination? Amalie Beauty has done the work for you and combined the most nourishing, beneficial oils for your brows (and lashes!) in one easy to use formula. These ingredients combine to nourish and promote hair growth in a natural, gentle formula. 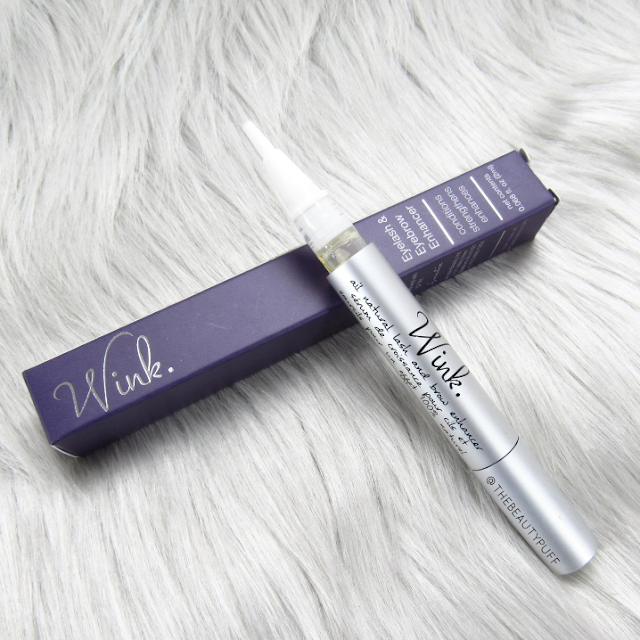 You can either use this on your lash line, or your brows. My personal focus has been my brows. I use this oil at night as well as on days I don't wear makeup. How to | To start the pen, rotate the bottom until you see a small amount of the oil on the brush, about 10 times. When you're ready to use, rotate the bottom of the pen 180 degrees and glide the product on the desired area (lash line or brows). Repeat step on opposite eye. Once product is applied, gently massage it into the skin in small circular motions. If using overnight, wash the remaining product off when you wake up. For best results, store the pen with the brush facing up. To clean, simply wipe the brush with a towel or tissue. This is by no means going to be an over-night transformation, but you'll see results beginning at about two weeks with regular use. According to their website, full results can be seen at around 8-12 weeks. Each "bottle" contains a two month supply. I haven't had my oil for that long, so hopefully I'll be seeing results soon! Check out 0.8l on their new mobile website below for a chance to receive free beauty products!